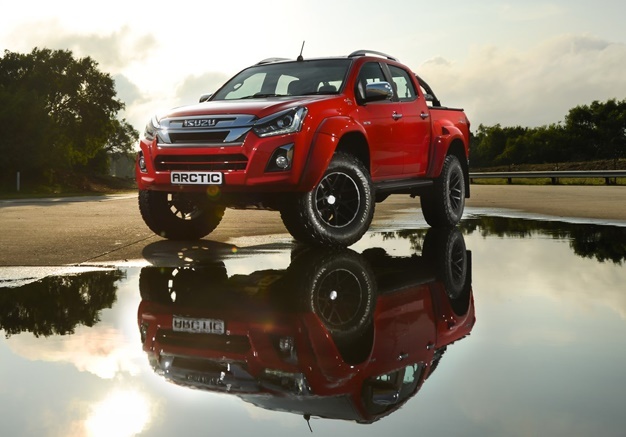 In collaboration with Arctic Trucks, Isuzu UK developed this purpose-built KB off-roader. Anyone planning a grueling road trip in the icy, cold wilderness? The Isuzu D-MAX range has an exciting and very exclusive new limited-edition flagship, and it is a derivative which takes off-road prowess to new heights. "The Isuzu D-MAX is respected for its fit-for-purpose design, outstanding reliability and proven durability," says Dominic Rimmer, Executive, Technical Services at Isuzu Motors South Africa (IMSA). "The very exclusive Isuzu D-MAX Arctic AT 35 is aimed at the customer who wants an extremely capable but thoroughly unique bakkie that certainly stands out from the crowd, but demands a properly engineered solution," Rimmer adds. "Whether driven in arduous off-road conditions or used on the road, this is a rugged and character-filled bakkie certainly commands attention. 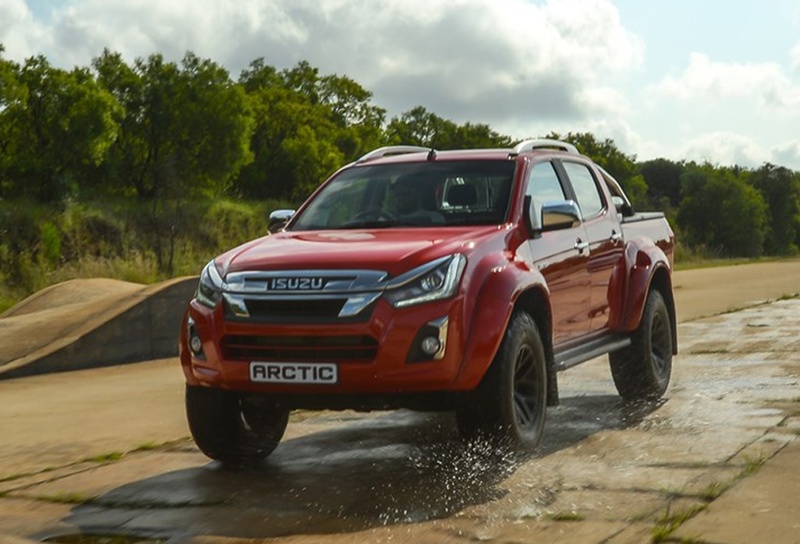 "Engineered and built in South Africa, the Isuzu D-MAX Arctic has undergone full local validation with Isuzu's engineering team playing a hands-on role to ensure the D-MAX strengths of reliability and durability are not compromised." The Isuzu D-MAX Arctic's distinctive look is totally functional, and is sure to turn heads with an unashamedly muscular presence befitting such a vehicle. The flared wheel arches add a substantial 180mm to the overall width while ride height is 48mm up on a standard D-MAX for additional ground clearance. Those lucky enough to snap up one of the eye-catching limited edition that will be available in South Africa will therefore enjoy full factory warranty and dealer back-up. They can also rest assured that it is designed to handle South Africa's toughest conditions with unprecedented capability and confidence. The Isuzu D-MAX Arctic AT 35 will be available from May at a recommended retail price of R785 000. The Isuzu D-MAX range comes standard with Isuzu Complete Care, comprising a five-year or 120 000km bumper-to-bumper warranty and Isuzu Roadside Assistance, a five-year/unlimited km anti-corrosion warranty and a five-year/90 000 km Service Plan. Service intervals are every 15 000 km/12 months. Extended cover can be purchased for Roadside Assistance, Service Plans and Maintenance Plans. The 2019 edition of the Rust de Winter 4x4 Jamboree marked the 28th successive event in partnership with SA’s largest manufacturer Toyota. Great Wall Motors will debut its new bakkie at the Shanghai International Automobile Industry Exhibition later in April.